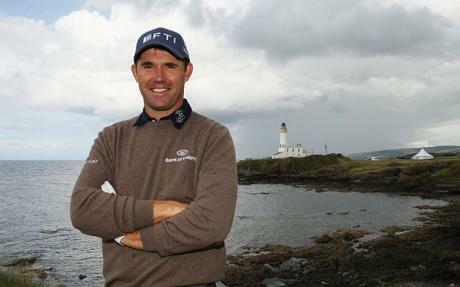 Padraig Harrington, Ireland's three-time major champion,wins PGA Grand Slam the event for the season’s major champions on his third try . The Irishman had been scheduled to play the BMW Masters in Shanghai this week. He became only the second European to win this event, joining Ian Woosnam in 1991. While Simpson lost ground after the turn and never caught up, despite a bogey-free 65 that left him one shot behind. Masters champion Bubba Watson, whose four birdies were offset by two bogey and a double bogey, had a 71. He tied for third with Keegan Bradley, who had a 67. Bradley replaced PGA champion Rory McIlroy, who is playing in Shanghai. With Shane Lowry recently winning the Open in Portugal and Rory McIlroy repeating Graham McDowell's feat of winning the US Open, taking him to the World's Number One Spots, Irish Golf is producing phenomenal results for a country and island of its size.